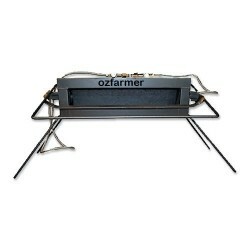 These handmade branding furnaces have been manufactured in Australia for over 30 years. 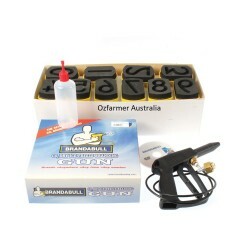 Manufactured under a skilled Australian team dedicated to quality control, these branding furnaces are the leading brand supplied nationwide. When you buy one of these furnaces, you purchase a quality product with spare parts available now and in the future. These branding furnaces are serviceable with an exclusive concrete relining service available only to these furnaces. 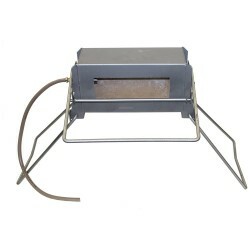 The single burner branding furnace is our most popular single burner furnace with a 30cm opening. I.. 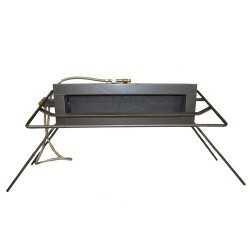 These handmade branding furnaces have been manufactured in Australia for over 50 years. Manufactured..
Brandabull is the fantastic new system of freeze branding developed by Mr Peter Griffiths in New Zea.. Freeze branding is an ideal way of marking animals for easy and convenient identification. It involv..
Copper alloy brands are suitable for freeze branding only. Ten-piece set. ..
Our handmade branding furnaces have been manufactured in Australia for over 30 years. Manufactured u..